I Like You and I Like My Bird! I ran over to I Like You last week to find a gift. I Like You is this great little shop in NE Minneapolis that sells handmade items from clothes, to cards, to prints and soap! And they’re all made by local artists. What a great idea! I wasn’t able to find the right gift, but I did pick up this fabulous bird for my office. 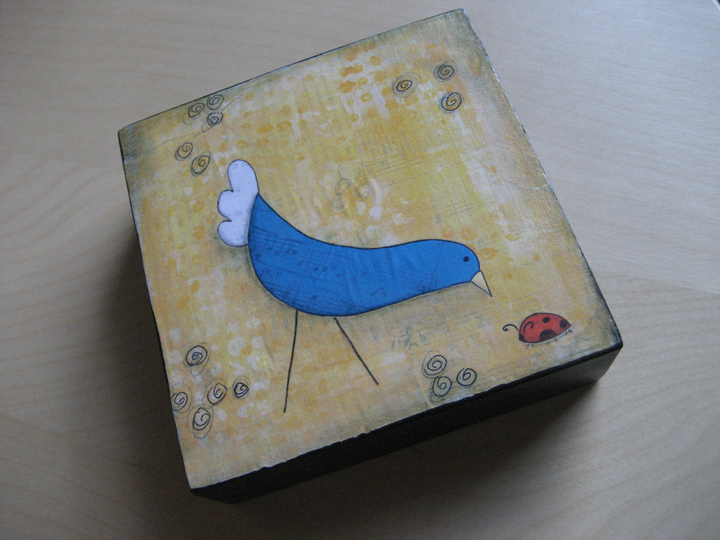 I’ve been on a bird kick lately, and if you know me, you know I love ladybugs. This is perfect. I love it. But I think my happy little blue bird needs a name. Any ideas? Cute box. How about Judith?